Need a fun digital activity when you're dreaming of spring or summer break? 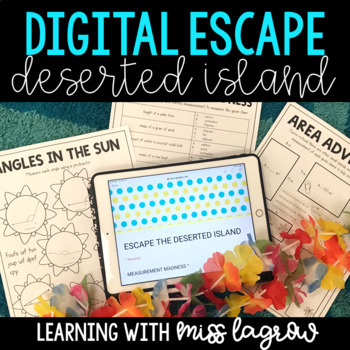 Your students can escape a deserted island! Students enter codes into a Google Form (included) and they can go onto the next section. The form will not let them through if they don't enter the right code! You can either print off the student pages OR a student PDF is included if you want to go fully digital!